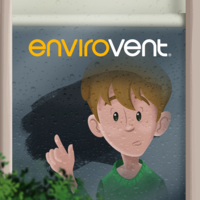 EnviroVent is the UK leading manufacturer & supplier of energy efficient & sustainable ventilation solutions. Call us today on 0114 4670020 or visit www.envirovent.com. We suffered for 18 years from condensation in our bungalow, also some black mould. This system has completely eradicated the problem, as by now [16/12/2018] it would certainly have been evident. Windows completely dry first thing, and no sign of mould. Would thoroughly recommend. Thank you very much for taking the time to share your experience of having our unit installed. The systems are generally a new concept to most people even though we fit hundreds every year. Nothing helps us to get the message across better than customers who have experienced the benefits for themselves. Thanks again! Thank you for your reply and apologies on behalf of Which? for the technical difficulties experienced trying to leave your review. 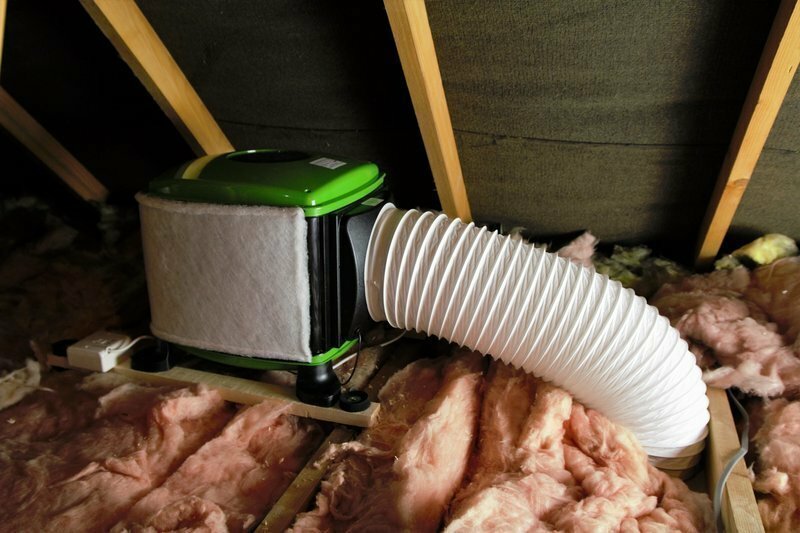 We are delighted you persevered and happier still to hear of the beneficial effect that our Whole-House Ventilation system has brought to your home. Many thanks for sharing. I am so pleased with the envirovent, I purchases a very old stone cottage and had black damp in almost every room, the previous owners had spent a fortune trying to solve it, I approached enviro vent and thought it was worth a shot and I am so pleased all traces disappeared every room, I would recommend them to any one. Thank you Gillian. 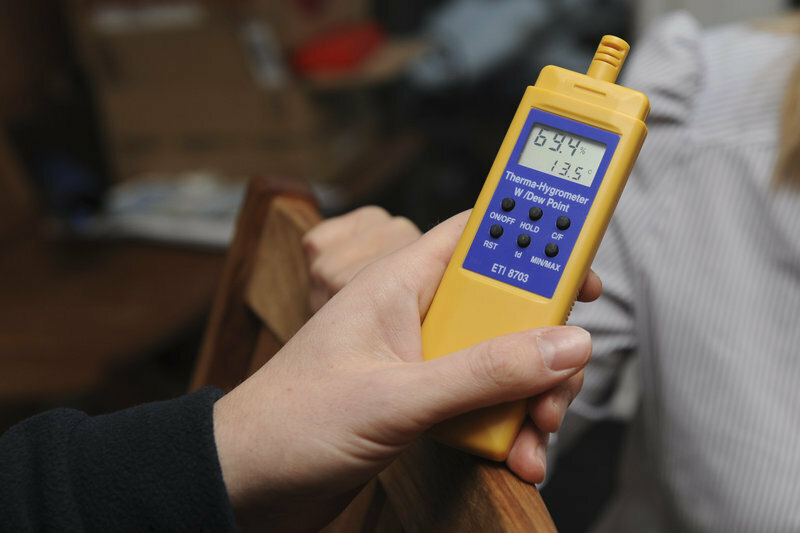 Some properties are certainly more prone to condensation and mould problems than others but our systems will eliminate the issues, even in the most difficult circumstances. Thanks again for sharing your experience. 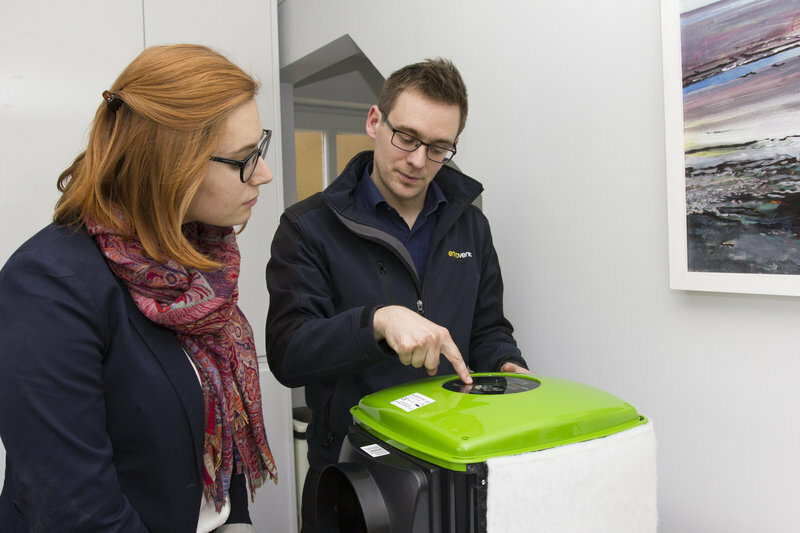 James from Envirovent visited our home to carry out a survey and to explain how their system worked. This was very informative and there was no sales pressure. We decided to go ahead a few days later and arranged an installation date. Installation was trouble free with no mess and took less than two hours. The technician was on time and was pleasant and polite. The system is totally silent and we have seen no more condensation on our windows from the morning after fitting, even after very cold nights. We bought a cheap hygrometer before installation and we have seen a significant reduction in humidity throughout the house. We are delighted with the results and we are confident that the black mould that we have now removed, will not return. I would definitely recommend this company. Thank you David. I know Which? had technical issues when you left your review and they now seem to have put it on twice! Great to hear your feedback though and thank you very much for taking the time to tell others about your experience. Thank you for finding the time to leave your feedback. 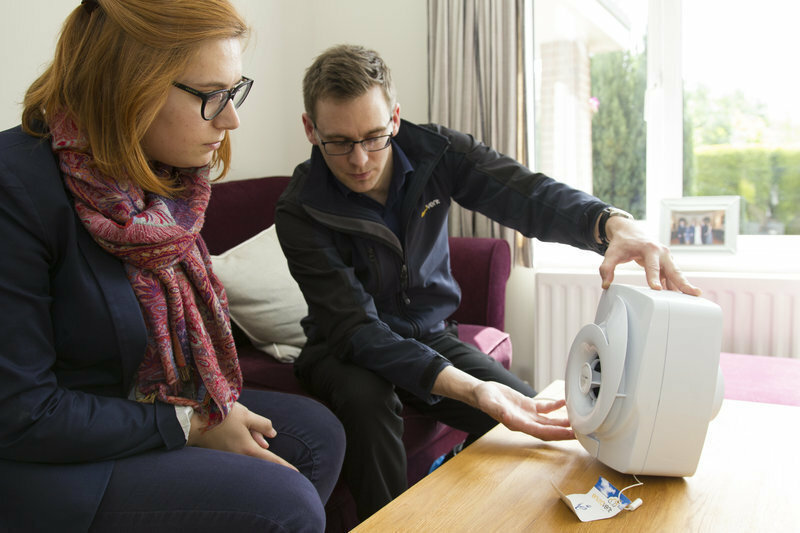 We are passionate about solving the problems that condensation & mould bring to people's lives and we love to hear about 'life after installation'. Thanks again! Removing condensation from the windows in our bungalow was a time consuming nuisance - some mornings the windows were full of running moisture. 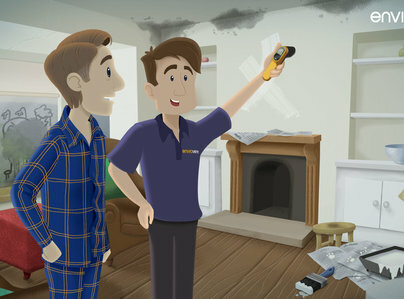 The engineer (James) arrived on time and recommended a solution which was installed in the loft efficiently in a morning with minimal disruption and with no mess. So far this year, condensation has been reduced enormously and running cost are very low. We are very grateful to you for finding the time to leave your feedback John and we are delighted to hear that your situation has improved so much. Thank you! We were having recurring damp and black mould issues in a 3 bed end terraced rental property, and the tenant had tried various different cleaning and chemical treatments, as well as leaving windows open/vented, but nothing solved the problem. Despite my initial scepticism about just how effective the EnviroVent system would actually be, I decided to bite the bullet and have it installed as a last resort. James claimed that it would be a revelation to me, and would clear all the mould issues we were experiencing, which I thought was a typical 'sales pitch'! Having had the system for around a year now, I can honestly say that James was 100% correct, and the system has done everything he claimed. There has been no more damp or mould issues, and the property now provides a quality of environment that the tenant is delighted with. 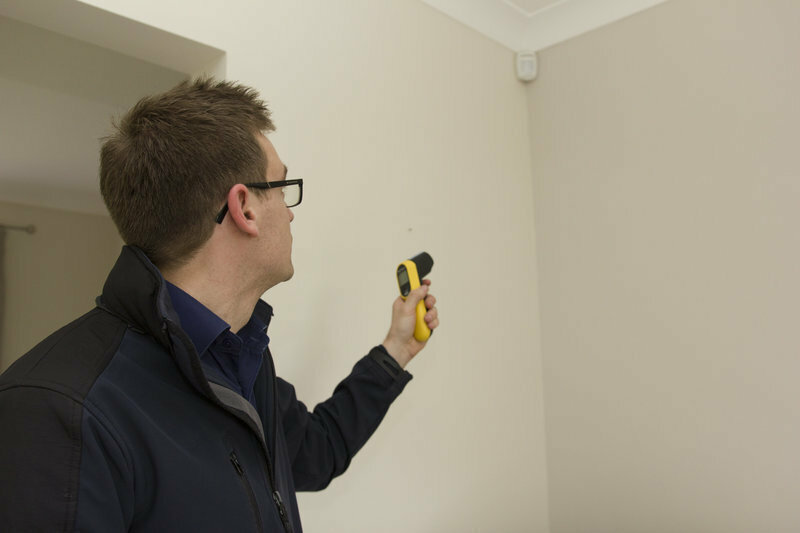 Should I ever find that any of my other rental properties are experiencing signs of condensation, I would definitely contact James and EnviroVent again in the future. Thank you for your feedback, we really appreciate you taking the time to inform others of your experience. People are often initially sceptical about the system which is understandable as it is usually a new concept to them. The units work in a different and much more effective way than some of the alternatives that are available. We are thrilled to hear of the benefits to your property and tenants and thank you again for your business. I had a complaint from a tenant about damp problems in their property. After trying various potential remedies with no success, I contacted EnviroVent. James went to the property, did a survey & report F.O.C. I authorised James to fit his products which he did & now the damp problem has been resolved. A friendly, professional service with honest opinions & advice. The work was done efficiently with no mess. Tenants were very happy with the install team & delighted with the ongoing results. Since this, I have been back to James & had another unit fitted in another property which had similar problems. Same service & results. If you have problems with damp, James & the EnviroVent Team could well be the professionals you need! Thank you for your feedback, we really appreciate you taking the time to leave your comments and it is always great to hear that we have achieved what we set out to do! The work was carried out promptly, efficiently and expediently. 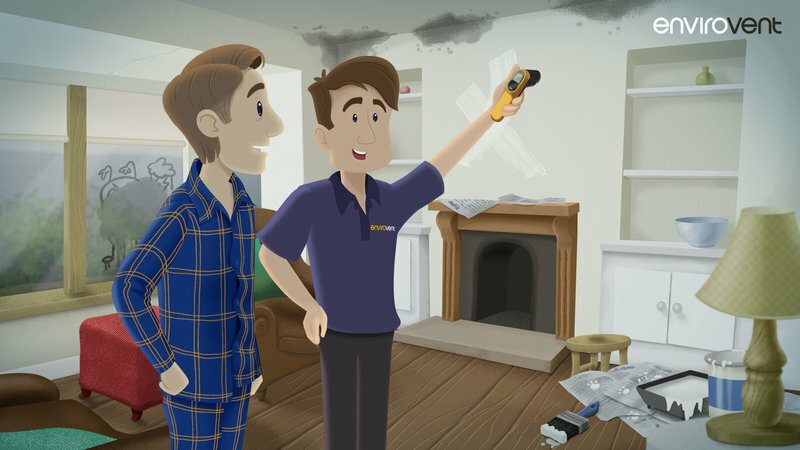 Would always turn to Envirovent for guidance on controlling, preventing and resolving a damp/ventilation problem in housing, particularly with rented accommodation, as often the problem is associated with lifestyles. Thank you for your kind words Mr Bardsley. We pride ourselves on accurate diagnosis and effective solutions so it is always great to hear that we have achieved this. Online quote resulted in a prompt appointment being booked. Came on time and took time to explain all options. Booking made quickly for work to be completed. Again arrived on time, work completed, no mess and fully explained. Great service. Thank you for taking the time to leave a review Jonathan. It is always great to hear from customers. We go to great lengths to ensure the process is as smooth as it should be and it's fantastic to hear that we have achieved this!